Boost your Immune System, Relieve pain, restore balance and energy! Your Biomat will elevate your body temperature giving your immune system a boost. This is especially relevant if you are suffering from low body temperature. How it improves the Immune system function? When our body temperature rises by 1F degree enzyme activity will increase by about 40%. 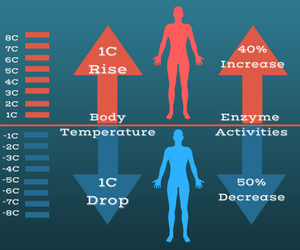 On the other hand, if your body temperature drops by 1F, then enzymes activities will be decreased by more than 50%. In other words, people who have low body temperature tend to get sick easily due to weakened immune system. If your body temperature is more than 98.6F, your immunity will be enhanced as enzyme activities are optimized. However, if your body temperature drops to less than 35c`, then there will be difficulty in your autonomic nerve system and your immunity will be greatly decreased. Cancer cells thrive in low body temperature environments. Deep FIR raises your body temperature, an artificially induced healthy fever. Living in our toxic world ! We do not get enough nutrients and our body is being compromises with all the toxins around. We live in a time when there has never been so many toxins bombarding our bodies, from herbicides and pesticides in our food, to chemicals added to our water, not to mention industrial pollution and medications. 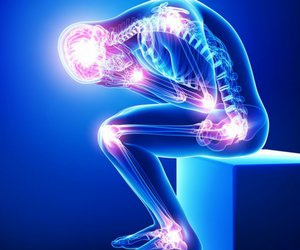 These toxins have been linked to virtually every disease known to man. If there were a way to eliminate or reduce them we would expect to see a reduction on all the diseases caused by these poisons. 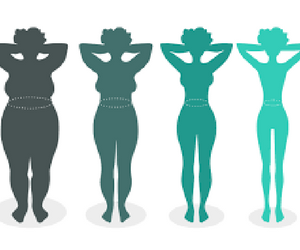 The body has its own ways of getting rid of them but due to being overwhelmed it is often the case that there are more coming into body than it can get eliminated, so it stores these toxins, which can build up over time and end up causing a wide variety of disease symptoms. FIR has been shown in many different ways to help get rid of these toxins and thereby provide relief for as wide a variety of diseases as are caused by toxification. FIR helps to detoxify the body in several important ways. 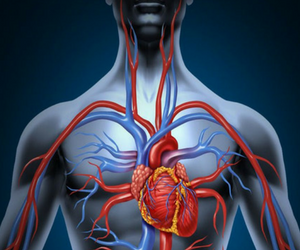 Increased blood circulation stimulates the sweat glands, releasing built up toxins and waste. Daily sweating can help detoxify your body as it rids itself of an accumulation of potentially carcinogenic heavy metals, alcohol, nicotine, sodium, sulfuric acid, cholesterol, and uric acid. In addition to sweating, far infrared is capable of removing toxins via several other bodily systems. What are the benefits you can get using the Far-infrared healing tool? Far infrared raises the body temperature, warms the blood, increases blood flow and volume resulting in improved circulation and heart function. The deep heat of far infrared helps peripheral blood vessels dilate, bringing relief and healing to muscles and soft tissue injuries. Increased blood circulation carries off metabolic waste products and delivers oxygen rich blood to oxygen depleted muscles so they recover faster. As you relax in the gentle heat of the far infrared, your body is actually hard at work, producing sweat, pumping blood and burning calories. According to a report in the Journal of the American Medical Association, a single far infrared session burns as many calories as rowing or jogging for 30 minutes. FIR heat therapy is widely used to treat patients suffering from many kinds of arthritis and musculoskeletal disorders. In addition, it has been proven effective in the treatment of sprains, neuralgia, bursitis, muscle spasms, joint stiffness and many other musculoskeletal ailments. 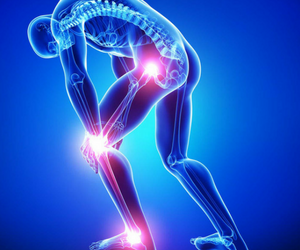 Stiffness, aches and soreness that come with aging are reduced or eliminated using FIR. The gentle warmth of far infrared rays helps to sooth nerves and relaxes tight or knotted muscles. 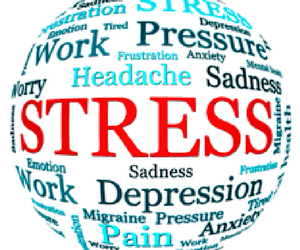 The end result is reduced stress and improved energy. FIR induces a state of relaxation, similar to meditation, thereby enabling you to reduce stress and rest quietly and deeply. It also promotes a good night’s sleep so that your body and mind feel refreshed the next day. FIR and negative ions penetrate the skin deeply, helping detoxify impurities from the skin and lymph. In addition, exfoliation is greatly enhanced by FIR, rapidly removing dead skin cells. Increased circulation draws your skin's own natural nutrients to the surface, rejuvenating your skin's health and appearance. 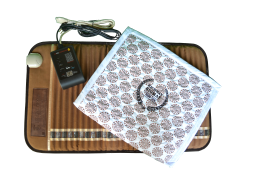 Far infrared is warm and bathes your body in healing energy while you are having your sessions or simply sleeping on it. Using a BioMat, 95% of people experienced pain reduction, relaxation, rejuvenation, and mental and emotional ease. What is the Biomat Far-infrared healing tool? 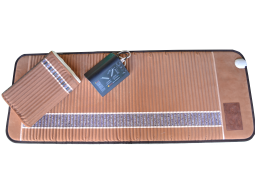 Biomat is a healing mat, FDA approved medical device that has been in use since 1997. 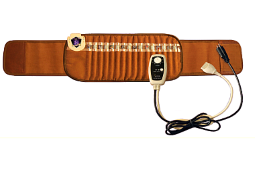 The BioMat emits negative ions and uses NASA technology to generate far infrared energy waves (FIR). This energy penetrates 6” to 8” into the body. How does the BioMat generate far infrared rays and negative ions? Amethyst has been called a “healing stone”. The secret lies in the amethyst for far infrared rays, and tourmaline for negative ions. 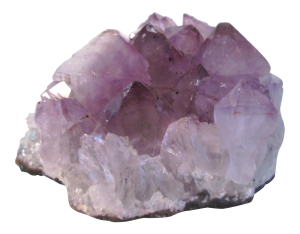 Since ancient times, amethyst has been called a “healing stone” as it emits an inherent wavelength of 32,876 KHz. 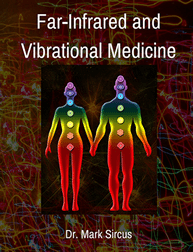 These frequencies enhance vital cellular activity. Far infrared and its therapeutic properties have been studied in China and Japan for over 30 years. Tourmaline generates negative ions. Tourmaline is a gemstone produced in granite pegmatite, produced in large quantity in Brazil, India, China and Africa. It has a powerful negative ion generating capabilities. 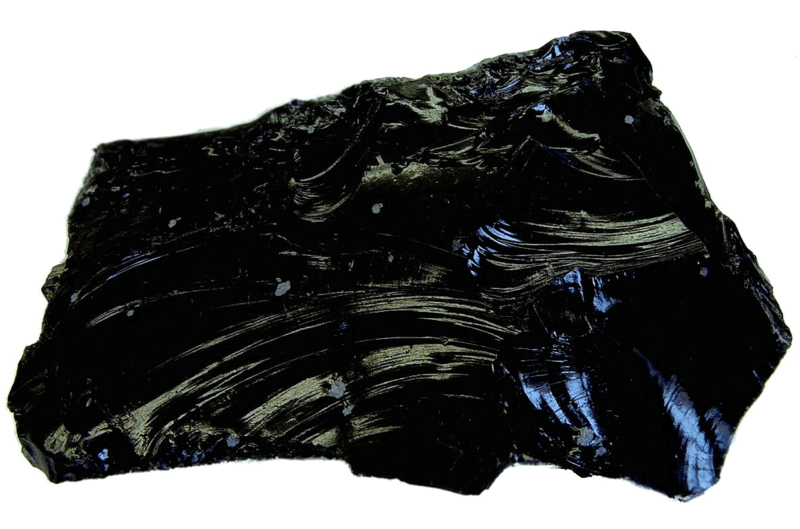 Specifically, black tourmaline is generates a powerful electrical field, so it generates much more negative ions than other tourmalines. 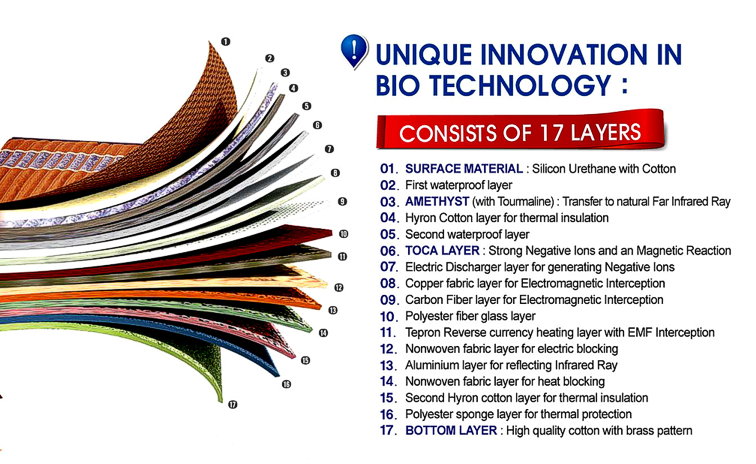 The Bio-Mat is constructed with 17 layers of bio-compatible materials. Specific layers block harmful EMF waves, provide insulation, and generate infrared and negative ions. How to use the Biomat ? Customizing Your Own Health Care. Power Only - No Temperature - Negative Ions, no far infrared energy. For overall general healthcare, immune stimulation, boosting energy, relieving headaches, improving indigestion and jet lag, and providing regenerative sleep. Used by athletes for flexibility training, cardiovascular support, blood pressure and sugar regulation, muscle pain relief, improved tissue repair, improved circulation and deep relaxation. Used to relieve chronic joint pain; reduce stress, anxiety and trauma; achieve a profound state of relaxation; elevate mood; and for deep tissue repair. How Can you buy the Biomat? Choose the best size for you! There are six sizes of Bio-Mats. Below is a brief overview of the mats, which may help you in making your selection. The most popular Biomat is the Biomat Professional. Ideal for health care and professionals looking for a way to extend and enhance their treatment options, or for home users who want comfortable, full-body treatment. The Biomat Mini is the second most popular Biomat, ideal for people who want to enjoy treatments at the office or on their travels. It is great for a chair, although it can also be laid flat. The Bio-Belt is designed to be used around the waist. The belt, though, can be removed and the Bio-Belt is then like a miniature Biomat that can be placed anywhere. There are 2 sizes available: Regular Size (54 inches long) and Large Size (63 inches long). BioMats are manufactured by Richway who sell them through a network of distributors. Distributors are not allowed to alter the price, which is why you won't find a BioMat offered anywhere at a different price as any distributor doing so would lose their license. We do offer something very important not offered by any other source of a BioMat however. We offer the expert ongoing support of Dr. Mark Sircus and his team so that you can truly get the maximum benefit from your new BioMat. If you are a cancer patient and order a BioMat from Dr. Sircus he will include, as his gift to you, his $250, 2,500 page Surviving Cancer Compendium. After your purchase, please contact us at support@medicalbiomats.com to get your ebook. The BioMat Professional was initially designed for Massage Therapists. For those with certificates or licenses in the health care field, a $100 discount is available from the manufacturer. If you qualify for this discount, you will need to submit a copy of your license to process your BioMat order. US Veterans now eligible for $100 discount on the Professional Bio-Mat with proof of military service. Medics, Fire Men/Women, EMT, Law enforcement. Applicable to US residents only. You Will Get These Bonuses With Your BioMat! A padded cover made of 100% white cotton and silver nanothread fabric with antibacterial and antifungal properties, fully washable. Minimal electricity costs as it uses only 12V. 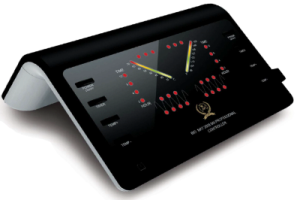 Easy-to-regulate computerized control panel produced by Texas Instruments. The professional size BioMat comes with a convenient travel case. The North American 120 Volt BioMat case has wheels and a pullout handle. The International 220 Volt BioMat has a lighter soft case. If all this is not enough to get you interested in obtaining your own BioMat, than here is a secret. The BioMat will save you a lot of money on heating your home! When you go to sleep on your BioMat you will be warm all night without heating the entire house. Life in the cold doesn’t get any better or any less expensive because of the low power usage. Remember – you will get great benefits for your body and for your health while you are sleeping! This is the greater bonus of all. You will be able to fall asleep, sleep better, and take care of your physical and mental health doing nothing but sleeping!